Easter is a special time of the year for us where we reflect on the resurrection of Christ. We spend the morning at Church and then come home for a nice Easter brunch with the family. I have collected so many pieces of Easter decor over the years - it'll be nice to pull everything out again this year to decorate. Here are some pretty pieces that I'm considering adding to my collection. 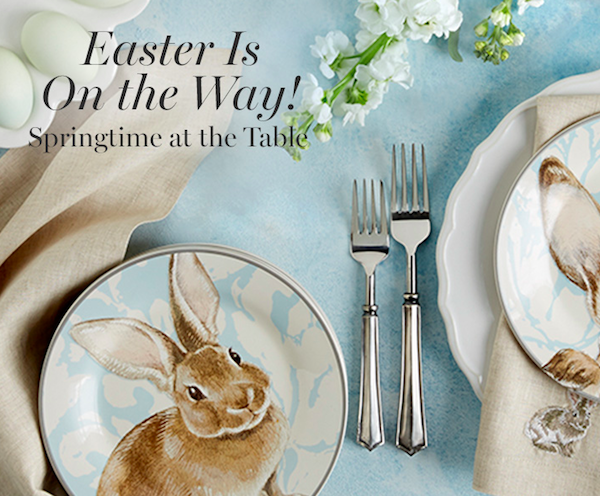 I love the colorful bunny plates, I will have to check those out. My favorite is the chick shaped plate! I love Easter and I love those bunny plates!! Wow love this collection especially the colorful plates! I just feel so out of sorts this year with Easter coming early. Last year I was ready. This year I am feeling a bit rushed. I love the egg stickers. And the chalk egg kit-great idea! Can't wait to get crafty. great inspiration! !